This page shows what you can pursue within and just beyond our parish boundaries. It focuses on the beach areas, their amenities and possible activities for you, your friends and families of all ages. Thurlestone Parish has four of the five local beaches. Two have good amenities. A wonderful coastal path links these beaches for fantastic walks. 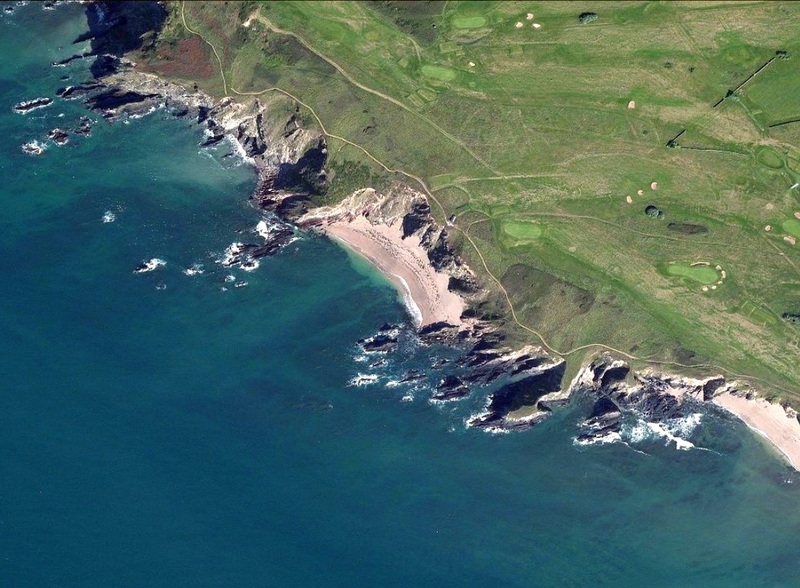 Starting with Bantham, running around the perimeter of Thurlestone Golf Course, leading to Broad Sands, Yarmer Beach, Leasfoot Beach and beyond to Thurlestone Sands. Three have parking facilities apart from Broad Sands and Yarmer Beach. If you continue on beyond the parish through South Milton and then on to Hope Cove a beautifully quaint fishing and holidaying village with harbour and beaches. All of these beaches are ideal for families, water sports and sub-aqua. If you are interested in our heritage there is a page of old Ordnance Survey maps of 1886. Click to see, and some beach names are a little different! 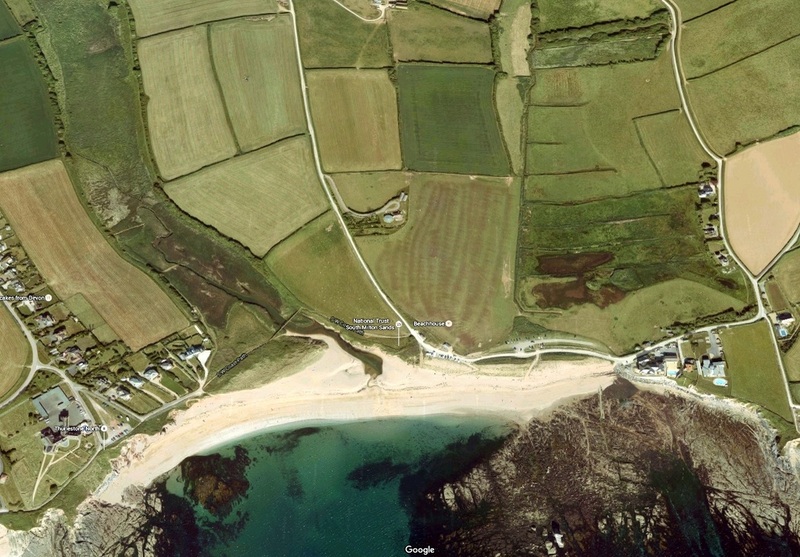 ​To familiar yourself with this area its worth viewing this annotated aerial view of this stunning location. ​Bantham beach is one of the best in the area and fulfills everything you need if you want a typical English seaside holiday. Backed by sand dunes and a substantial car park. Parking charges change with times of year It is an acclaimed area of outstanding natural beauty which combines with the river Avon winding its way out to the sea between between Bantham beach and Bigbury. 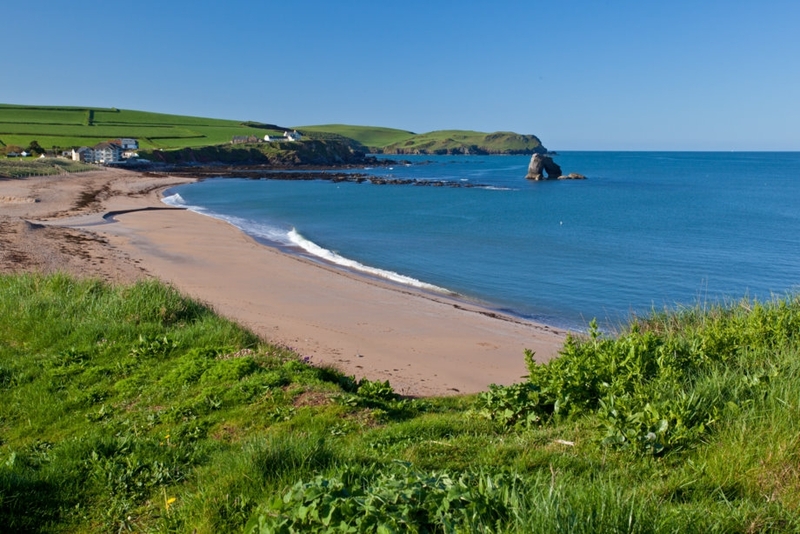 Bantham beach is shallow and sandy so it’s great for families with kids who want to do a little swimming or paddling. Full Lifeguard station and on duty from May to September. At low tide, you’ll find loads of flat sands, shallow pools that warm up quickly in the sun and are perfect for crab hunting.With shallow seas and the river Avon battling its way out to sea makes this a renowned surfers beach producing perfect waves for the beginner to the true professionals. Surfing lessons and equipment hire are available, see www.banthamsurfingacademy.co.uk. Please visit www.banthamdevon.co.uk for the latest surfing information. 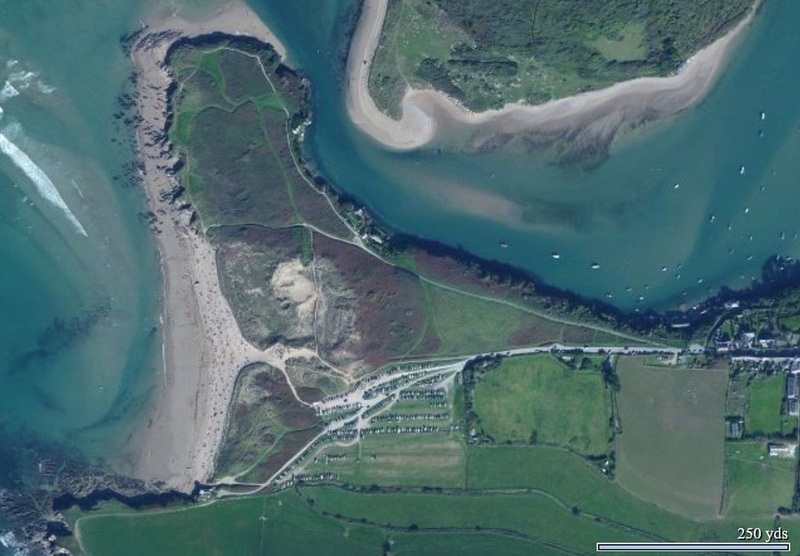 Great area also for kite surfing, paddle boarding and kayaking too! The beach is well served with facilities. Toilets at the back of the car park, a GastroBus for food and snacks within the car park. In the the village of Bantham is the Sloop Inn with great meals and beverages for all. Further back a shop which also serves beverages from a fabulous outside terrace overlooking the winding river Avon. You can catch a small passenger ferry across the River Avon, enabling you to walk to Bigbury along the coastal path. The ferry operating times are here. Please be aware that dogs on the beach are restricted to certain areas during the summer season. See here. Broad Sands beach is the least accessible with no amenities or parking. 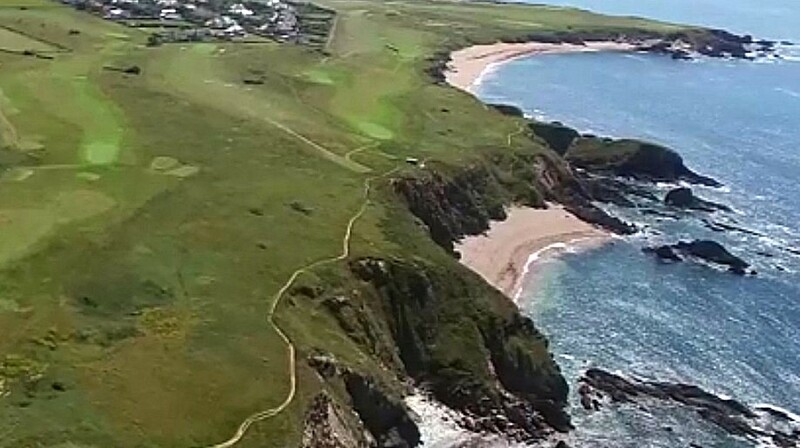 Only accesible by the coastal path each way skirting the golf course. You have to descend from cliff top down a steep and grassy winding path at the southern end. This pathway will not suit elderly or faint hearted walkers. Once down it is a decent sized soft sandy beach with out crops of rocks either side. It is one of the most sheltered and secluded beaches in the parish and the least populated through the year. It is dog friendly. During off peak times and in good weather it can be frequented by the occasional nudist at the far end. Yarmer beach is a decent size with soft sands edged by rock pools and backed by sandy dunes. 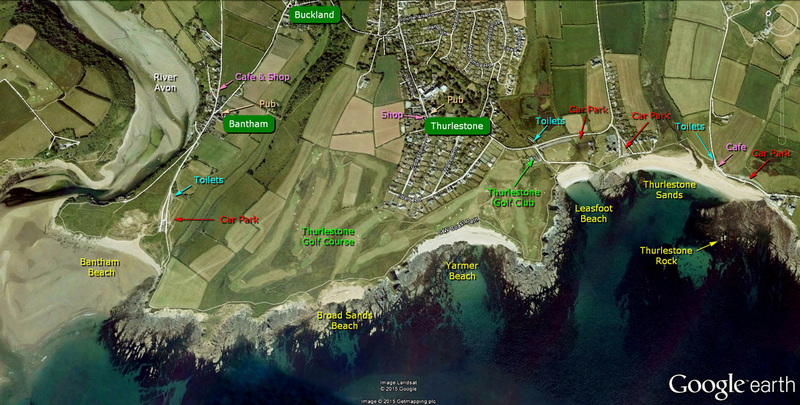 Thurlestone golfing greens surround it so is only accessible by the coastal paths each side. 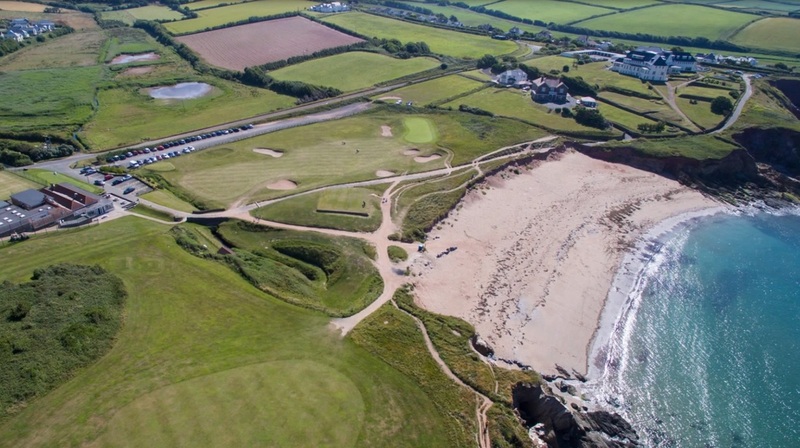 It can also be accessed from Thurlestone Golf Club by a perimeter path next to the Yarmer Estate then between the golfing greens to the sea. It is the least accessible by car and has no amenities. If you want peace and tranquility and get away from it all, then it's an ideal stopping place for a stroll from Thurlestone Village or a welcome break during your amazing coastal walk. 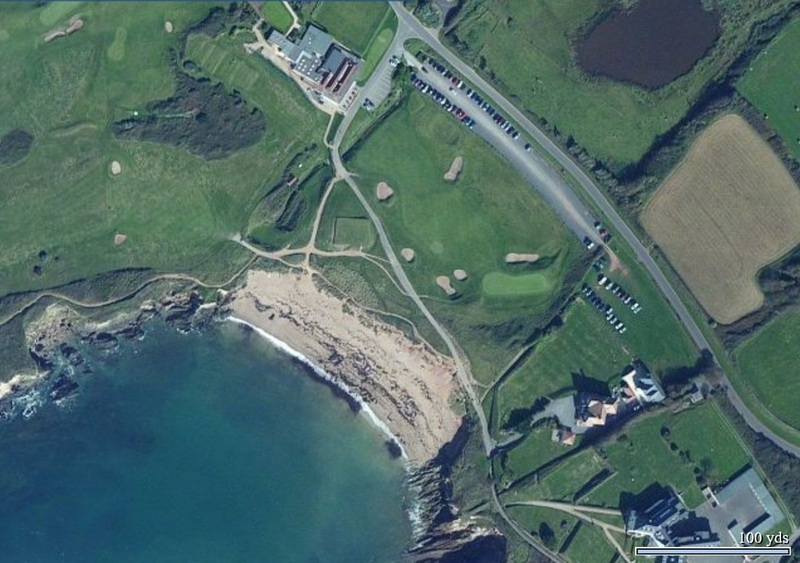 ﻿Leasfoot beach is right next to Thurlestone Golf Clubhouse. A smaller sheltered sandy bay, backed by sand dunes.Very safe no currents. No life guard attendance. A quiet and peaceful beach. Great for water sports, snorkeling, sub aqua and beach games, sunbathing and rock pooling. 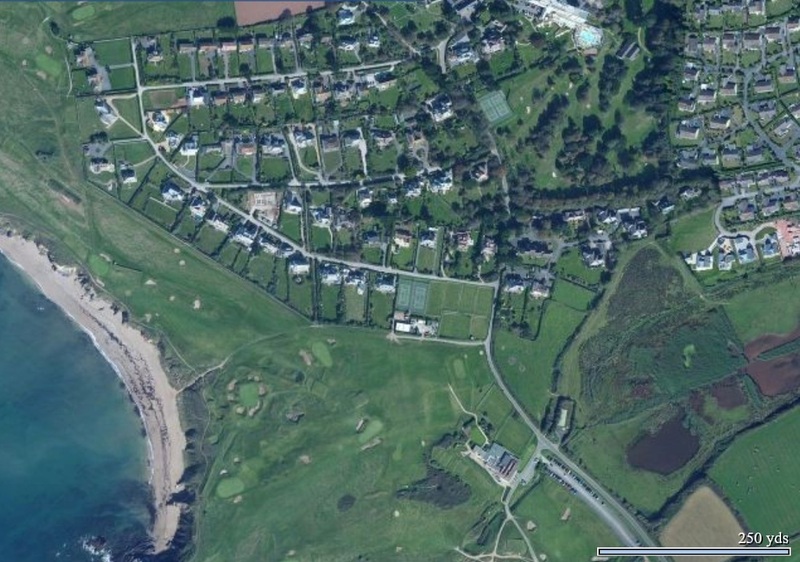 You can drive into the golf club past the clubhouse, close to the beach to drop off kayaks or equipment etc, prior to parking in the back field as described. It does have toilets at the back, off the road opposite the Golf Clubhouse. There is reasonable parking in a field which is accessed by driving through the Golf Club Private parking. During summer periods there is a charge of £3. It is just a short walk via a path from the car to the beach if you are carrying beach gear and or small children. There is another small cliff top car park directly between Leasfoot beach and Thurlestone sands. Parking is free and there is a snack refreshment facility there called Gastrobus. 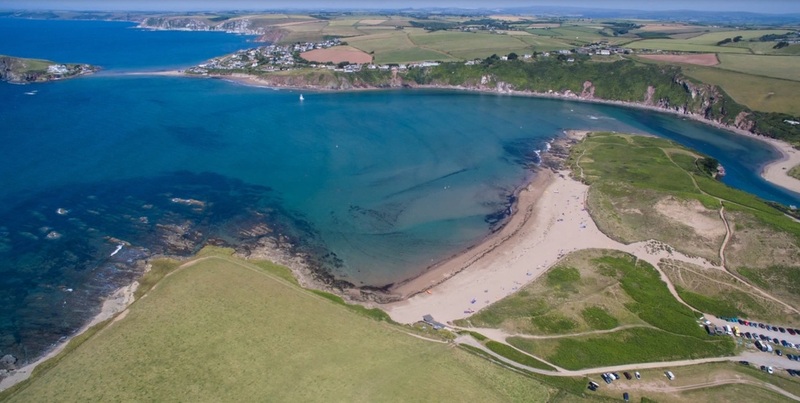 ​Thurlestone Sands is a large beach with fine shingle and sand with the backdrop of the ancient, iconic arched rock called Thirled-Stone in the bay giving the name to Thurlestone village. Road access to the beach is down a single-track lane for the last two and a half miles through South Milton to a National Trust Car Park at the back of the beach. There is plenty of parking space at a charge of £5.00 a day’s stay. Off season it is free. Access to the beach is down steady ramps from the car park area and will allow people with mobility restrictions to have access to the beach. There are good amenities, and it is a great location for water sports and for exploring the rock pools at low tide. The beach is owned by the National Trust and is very well maintained like many of the beaches in the areas. Good access for a wide range of water sports and bringing your own equipment from your car. During the summer season paddle boarding, kayaking, canoeing and wind-surfing can be hired from Surfin Sam. Kite surfing is also popular here. The area of water inside the Thurlestone Rock is protected and makes a safe spot to learn water sports, with gentle onshore winds for most of the summer. Larger water craft can be launched via a slipway in Hope Cove, the next bay. A Beach Cafe (open throughout the year)is available above and at the end of the beach and a toilet block. Thurlestone Sands is a dog-friendly beach, so you can bring the pooch at any time of year. There are, however, strict anti-fouling laws in place to help keep the beaches in pristine condition. Ultimately, Thurlestone is the perfect beach if you want to enjoy a little slice of South Devon without the noise and bustle of the usual summer crowds.